Proudly known as the world’s only 4-door muscle car, the 2016 Dodge Charger in El Paso does more than just speed down the tracks. It also offers amenities to make you savor each drive. The vehicle authority website Car and Driver ranks this large sedan in the Top 10 of its best-reviewed models. Take a test drive in this Dodge in El Paso and you will surely feel the thrilling difference. 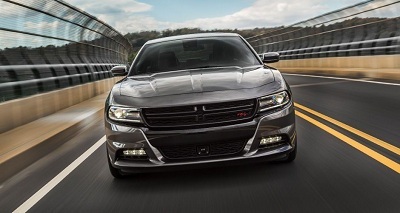 If you want more choices, you’ll be pleased to know that there are numerous trims on offer by the 2016 Dodge Charger. You can pick from the SRT, SXT, and RT trims, with the base SRT having a 6.4L Hemi V8 392 engine that revs up to 485 horsepower and 475 lb-ft of torque. Posted on November 14, 2016 by CedrickPosted in BusinessTagged 2016, charger, dealers, dodge, paso.